Over 150 WGS games, including pokies, table games, video poker and keno, are available at Lincoln Casino that welcomes the Aussies to join in and have fun. On-going tournaments, a generous bonus package and visually attractive design would provide you with realistic gaming experiences regardless of whether you play in a browser or in a downloaded casino app. Banking options are all fast, secure and convenient for Australian gamblers. Pokie fans will not be disappointed with the assortment of games at Lincoln Casino since WGS have released a plethora of titles that come in many forms to suit everyone’s tastes. 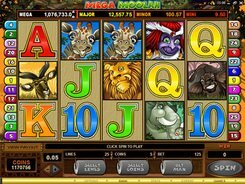 The pokies are subdivided into three groups based on the number of reels, and they are packed with diverse features that are so loved by pokie enthusiasts: bonus rounds, wilds, scatters and other popular features. If you prefer table games, the relevant casino section contains about 5 blackjack variants, European roulette, American roulette, baccarat, craps and a few poker games. Besides, there are over 20 single-hand, multi-hand and 100-hand video poker games. Finally, the casino has around 10 games with a progressive jackpot. You can play all the games in the Lincoln Casino collection without risking a dollar of your money, except for progressives that are played for real cash only. Each game comes with a comprehensive review of its features. The mobile casino version is available on the “m” subdomain, meaning that you will not have to download an app to start playing on your iOS, Android or Windows Phone device. 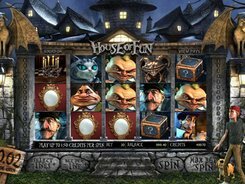 The mobile casino currently includes 45+ pokies and table games, and it features the same entertaining capabilities as the desktop version (e.g., tournaments and bonuses). There is no need to create a separate account for the mobile version since you can use your existing account at Lincoln Casino. Another advantage that gamblers find valuable is a fully functional payment component that allows mobile users to deposit or withdraw via mobile. The Aussies who want to bet real money are offered to deposit funds to their personal account via any of the nine payment tools, including, but not limited to, Visa, MasterCard, Neteller and Bitcoin. Minimum pay-in limits vary between $1.13 (Paysafe) and $100 (QuickCash). Cashout options are less numerous and some of them (wire transfer and checks) come with bank fees attached. The gambler cannot withdraw less than $150 in one transaction and the maximum withdrawable amount is $5000 a week. Many reputable online casinos of today feature welcome bonuses, and Lincoln Casino is no exception. After signing up and depositing $25 or greater, you will be given the 100% first deposit bonus up to $1000. As soon as you complete the wagering requirement of x20 (D+B) and place the second deposit, you are entitled to claim one more welcome bonus on the same terms and conditions as the first one. This unparalleled welcome pack features five bonuses, up to $5000 in total. Lincoln Casino organizes daily freerolls allowing gamblers to win real money prizes without paying entry fees. The rules are simple: the participant who has earned the most credits on a qualifying pokie will be announced winner and get a portion of the fixed prize pool. Weekly and monthly tournaments require a small entry fee of $3 or $5 and they also focus on pokies or, sometimes, table games. The tournament schedule posted at the casino shows when a tournaments starts, when it ends, the qualifying game, and some other related details.